This may be a frequently asked question from a civilian, but if you are in the military service to make the rank as a Captain (USN or USCG) or Colonel (USA, USMC, USAF) you will know how to wear the o-6 collar or shoulder insignia on your uniform. Typically, those who make the sixth officer ranking (O-6) will have served in the military for over 20 years. However, there are some jobs like Chaplain, Medical Officer, or Legal Officer (JAG), who can make the rank of O-6 much faster depending upon their experience in the profession prior to joining the military. An O-6 is a Colonel in the Army, Air Force, and Marine Corps, and a Captain in the Navy and Coast Guard U.S. (See our Military Officer Rank Chart). There are three different types of commissioned officers - restricted line, unrestricted line, and staff corps officers. Unrestricted Line Officers (Navy, Air Force, Coast Guard, USMC) and Combat Arms Officers (Army) are the terms used to describe the type of officers who lead men and women in combat situations (boats, planes, tanks, infantry, special ops). The term line officer refers to an age-old term within the Navy and refers to the “officer of the line”. Within the Navy and Marine Corps, commissioned officers or warrant officers will be the chain of command for warfare operational positions. Marine officers are all line officers. From the infantry officer to the Judge Advocate General (JAG), Logistics, and engineering/supply officers are all considered line officers. 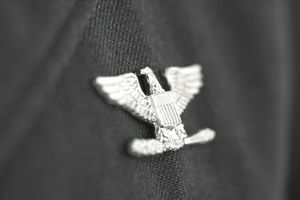 Within the Air Force and Coast Guard the term line officer also refers to officers eligible for operating and commanding combat units such as pilot, battlefield airmen, and surface warfare/pilots of the Coast Guard. In the Army, the term line officer is not generally used, but the terms basic branch officer and special branch officer are used to describe officers who lead infantry for example (basic branch combat arms) and the medical corps will be in the special branch group. O-6 level officers in this field (Captain / Colonel) are typically warfare operational commanders of large warships, combat air squadrons, Navy SEAL Group Level Commands, and division level forces within their perspective branches of service. Restricted Line Officers in the Navy are considered line officers however, they are not eligible for Command at Sea which typically means combat units. These officers are specialists similar to Staff Officers. There are many different types such as Naval Intelligence Officers, Engineering Duty Officers, Cryptologic Warfare Officers, Information Warfare Officers, Public Affairs Officers, and Naval Oceanographers to name a few. O-6 level officers in this field (Captain / Colonel) are typically warfare support commanders of large shore-based facilities, ship, and air support activities, Engineering Commands, and Intelligence/Cryptologic Commands within perspective branches of service. Staff Corps Officers (Navy) or those who are not line officers (other branches) primarily have duties that involve non-combat specialties such as legal, medical, religious, engineering, and others. However, even though command security (military police) is not considered a line officer position, often they are involved in combat/dangerous situations when forward deployed in war zones. Professional Officers in the United States Air Force refers to those officers assigned to the medical, nurse, medical services, legal, and chaplain corps are professional officers. In the Air Force JAG officers are also considered line officers and are part of the Line of the Air Force just like pilots, special ops, and other combat support specialties. O-6 level officers in this field (Captain / Colonel) are typically military-wide support commanders of large shore-based hospitals, legal support activities, and religious commands within perspective branches of service. All of the above officers are eligible for reaching the ranks of O-6 and above within their communities. O-6 "Eagle" insignia consists of a pair. On one insignia, the eagle faces the left, and on the other insignia, the eagle faces the right. This is because, when worn properly, the eagles are pinned on with the feet closest to the collar, and the head of the eagle turned to face toward the front of the officer's body. The only way to accomplish this, on both sides, is to have "mirror" insignia (one opposite from the other). This is clearly illustrated, for example, in Army Regulation 670-1, Wear and Appearance of Army Uniforms and Insignia, Figure 28-35 (Page 192). The eagle insignia which faces to the left is worn on the right shoulder (facing the front) and the eagle insignia which faces to the right is worn on the left shoulder (again, facing the front).